Complaints about Ukrainian politics resembling a show started at the dawn of independence. Now, this statement is reality. Not just because athletes and celebrities easily get to parliament in party lists or individual constituencies. Even political leaders are now borrowing tricks from performers, parties promote themselves as commercial brands while election campaigning increasingly resembles advertising of yet another Bollywood movie. This has reached an absurd point this year as one of the key competitors for the presidential seat combines his campaigning in the regions with his concert tour. His election campaign builds around a TV series where the candidate plays the role of the president. Other candidates, too, play their own shows. Traditional meetings with the crowds, verbal duels in front of cameras and squabbles in the parliament have become trivial. Time has come for some more serious directing. 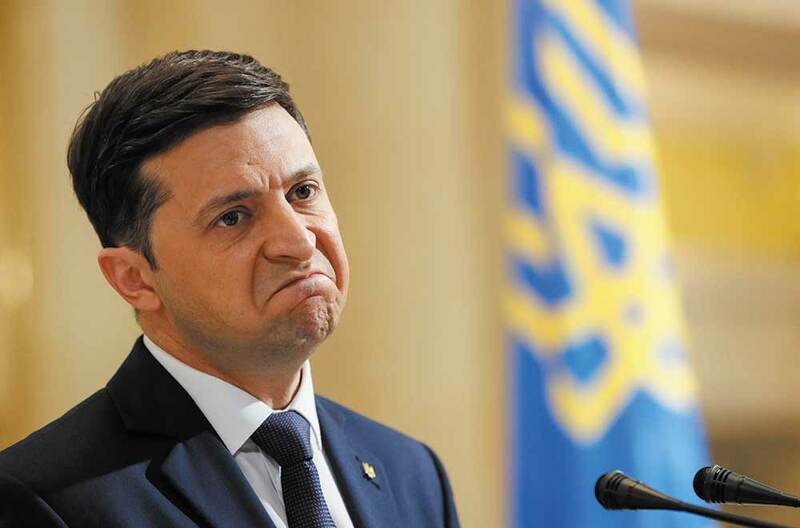 Motorcades stopping for the president to speak to a crying child, crazy monologues in wheelchairs, public eating of earth – Ukrainian politics requires more and more dedication and creativity. This is nothing new to authoritarian regimes: dictators fly with cranes and dive into the sea to fill the vacuum left by the non-existing political life. In a democracy, however, political shows are a factor that define much more than just electoral success of individual political forces. Emotions of the public are an unstable substance, and show politics injects an element of chaos into life which is more difficult to control than it seems. As a result, democratic regimes become increasingly vulnerable and unstable. This is very difficult to deal with. To begin with, it is only possible to draw a clear line between show business and public politics in a democratic country in theory. In practice, they are always widely intertwined – if only because both show business and public politics have similar goals today, and are therefore forced to use the same methods. The goal of any business is to sell its goods as effectively as possible to a mass audience, converting this into profits. Politicians face a similar task: to increase their electoral capital and convert it into power. The essence of political activity is not all about this, but it can’t do without this component. A successful promotion strategy developed by a company or an election team is critical in both cases. Therefore, politicians and businessmen use a wide arsenal of identical marketing tools, from billboards and ads in the media to public support of athletes and actors. In this sense, marketing is a driver of both trade and political life. This may sound like an exaggeration because the common thinking is that voters are still driven by their values and interests, while the constellation of political forces is just a reflection of the balance in social forces. Indeed, how can a politician possibly sell socialism to an entrepreneur or friendship with Russia to a nationalist? It’s true that political marketing is not omnipotent. But in reality citizens are not always fully aware of their interests or make a rational choice. Therefore, by responding to one proposal or another, a voter often satisfies the needs created by the party teams. In its extreme form, this delivers the triumphs of charismatic leaders who sell visions and populist narratives charged with emotions, not even obscure platforms to their electorate. Gustave Le Bon wrote about this back in the day. Many political leaders of the 20th century later used his observations. Edward Bernays, a pioneer of American PR industry in the 1920s, can be named as Le Bon of marketing. He described in theory and proved in practice that producers can both meet demand and successfully create it by appealing to certain motivations of the target audience, including the irrational ones. The economic impact of using this simple but revolutionary statement is hard to overstate. The approach to advertising has changed: attention is now drawn to creating attractive images linked to owning a product, not to describing the details of the product. In this way, producers of smartphones, clothing or cars can satisfy more than material demands of their consumers. The most successful brands create prestigious subcultures around them. Consumers are willing to pay generously to be part of them. Similar trends fully apply to art as show business, with all of its specifics is, too, driven by the marketing logic. In this sense, a company that urges people to buy the goods they don’t need at inflated prices is not too different from the populists urging people to make a political choice. Similarities don’t end here. The revolution launched by Bernays has exhausted itself in the 100 years. So companies have armed themselves with politics in their search for ways to mobilize potential buyers. While business used to stay away from politics in the past, afraid to scare away potential buyers, today’s global brands are becoming promoters of certain ideological norms. Gillette no longer offers comfortable shaving in its ad released in January 2019, but calls on the consumers to resist “toxic masculinity” instead . Colin Kaepernick, an activist against racial discrimination, becomes the face of Nike while Reebok launches a campaign to support feminism. This is not just about declaring general principles. In February 2017, Apple, Google, Facebook and Microsoft publicly spoke against restrictions on migrants from Islamic countries introduced by Donald Trump. The effect of the latest presidential election on the Hollywood community has been obvious: celebrities have rushed into political activism while cinema is growing more ideological. All this can seem ironic: even sellers of sneakers are now trying to educate people, one may say. But this hides pragmatic calculation, not corporate arrogance: the demand for politically conscious brands is extremely high amongst American millennials, and they will become their main audience in several dozen years. For now, they are paying extra for the right ideological positioning to the consumers. In Ukraine, we are mostly witnessing the opposite cases where political factors influence business or try to do so: examples include campaigns to boycott Russian goods. It is beyond doubt, however, that Ukraine will join the global trend in the future. Meanwhile, Ukrainian politics is almost mirroring that trend as it goes through its phase of “plummeting sales”. The political market was very diverse in the 20th century, represented by a wide range of ideas – from fascism to anarchism. As it got rid of the most radical concepts by the 21st century, the Euro-Atlantic world has gained relative calm, but the political field has become very homogenous. Add to this the crisis of the core ideologies, and we are in a situation where it is increasingly difficult to accumulate political capital. Here is when political marketing experts refer to good old populism where catchy gestures replace a discussion, fiery slogans replace the basics of political platforms, and showoff is valued more than integrity. Trump’s victory, the latest forecasts on European Parliament elections and domestic political processes in the EU countries show that this marketing strategy does make sense. As they play the role of showmen and act as Hollywood celebrities, some politicians can perfectly fight for the electorate with respectable statesmen and functionaries of established parties. Ukraine is ahead of the West in this as its political field is shaping from scratch in a post-totalitarian context. As a result, show business and politics intertwine in such grotesque absurd shapes. Thus, politics and business use the entire accessible range of marketing tools in the fight for being liked by society. The problem is that the use in the political field can have serious negative implications. Not only because communication technologies are increasingly efficient and can hide the lack of content. But because the voters, heated up by the high-tech campaigning, can direct their countries into a wrong vector. Paying five times more for a phone or going to a concert of a talentless but well-promoted performer is one thing. Handing power to dangerous adventurers is a completely different level of risk. Sustainable democracies have institutional safeguards that can offset negative implications of electoral mistakes to some extent. Ukraine barely has any such safeguards so it finds itself facing two threats: a threat to democracy from authoritarianism on the one hand, and a threat to statehood linked to some electoral trends on the other hand. Ukrainian society has used the Maidan as emergency brake twice already. What should it do when the future of the country is under threat from the electoral consequences of show politics? It is extremely difficult to find answers to these questions.